A beloved Richard Scarry title from 1963 is now available as a Little Golden Book! When it comes to visiting a neighbor, enjoying a meal, or hosting a playdate, no one does it with better manners than the polite elephant. 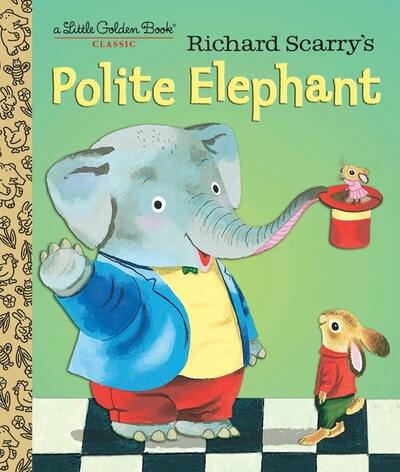 Richard Scarry’s witty, colorful artwork of the elephant and his friends at play will delight young readers. They’ll want to follow the elephant’s gracious example as he waits in line for the bus, helps out, and passes the salt! Most importantly, they’ll learn just how fun and easy it is to be polite. 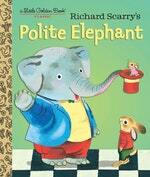 Love LGB Richard Scarry's Polite Elephant? Subscribe to Read More to find out about similar books.